The MFAA has announced an upgrade to its consumer loan calculators, making them compatible with mobile phones. Ten out of the MFAA’s 20 online calculators are now mobile friendly. This upgrade occurs only three months after the initial launch, and will be available at no additional cost to brokers. The mobile calculators can run on all modern smart phones including iOS, Android, iPhone4+/iPad, Samsung, HTC, Sony, Huawei, LG and Microsoft Windows phones. 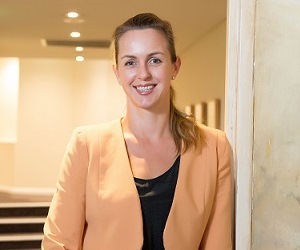 Siobhan Hayden, chief executive of the MFAA, says this new function will soon be extended to the remaining 10 calculators, giving its members who have already purchased the online calculators mobile versions that will keep consumers connected to their websites. “Calculators are one of the key search items that residential and business customers use to discover a broker. Not only are ours priced at $99 per annum – which is a minimum $300 saving for many members; they also now align to key consumer mobile and tablet search behaviours,” she said. According to the MFAA, 65% of Australian mobile users action an online search for goods or service providers daily, with a large percentage of these being active spending consumers. Brokers need consumer-friendly tools built into their websites to maximise online visibility, increase search ranking and meet both business and consumer needs. “Free calculators that are hidden in password protected, third-party sites are of no value to brokers. The MFAA understands that paying over $400 for these tools to load into a broker site is a major cost to any business. That’s why we have provided real value with this member benefit and will fulfil our promise to continually upgrade capability as technology evolves, enabling our members to remain top brokers in their field,” Hayden said.